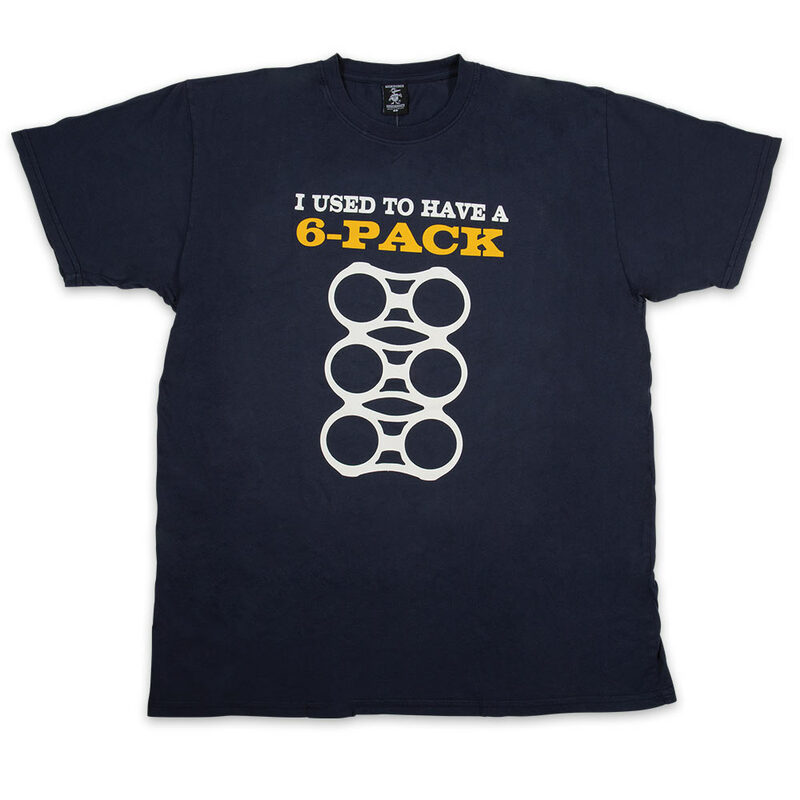 Had A Six-Pack Diesel Blue T-Shirt | BUDK.com - Knives & Swords At The Lowest Prices! Looking for an alternative to the standard-fare, boring t-shirt design? 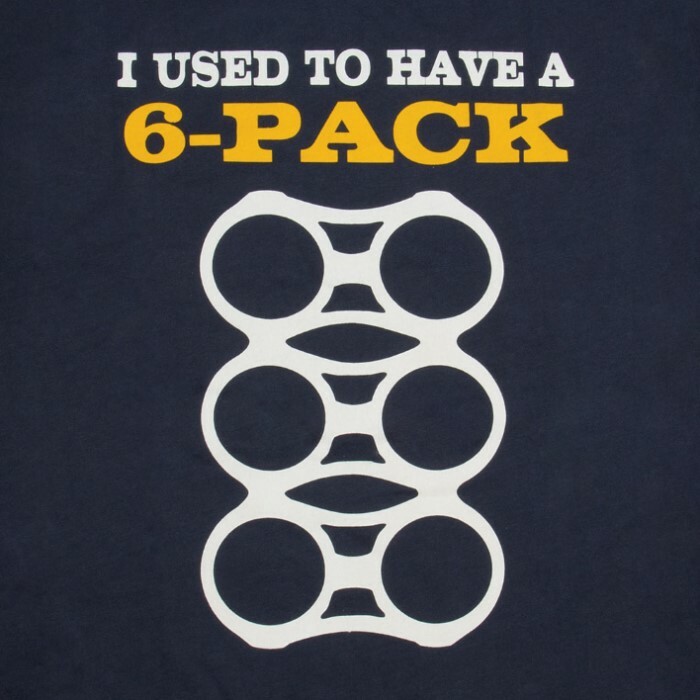 Boring our Had a Six-Pack shirt is not! The high-quality t-shirt has a hand silkscreen printed piece of original artwork featuring an empty six-pack holder and the words, “I used to have a 6-pack.” The shirt is a mineral washed 100 percent cotton which has been hand-dyed Normandy gray, giving it a unique look and feel and it comes in sizes large, 1XL and 2XL. Add this fun t-shirt to your closet today!